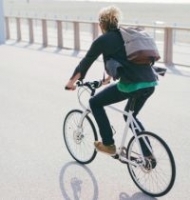 Retail finance technology provider Deko has teamed up with Free2Cycle - a new health, wellbeing and environmental initiative - to get more people on the road and help to combat a lack of productivity which costs the UK economy over £27 billion a year. In need of a finance solution that seamlessly integrated with the initiative, Free2Cycle looked to Deko's unique technology to enable the innovative offering and provide a seamless customer journey. Free2Cycle turns traditional product payment methods upside down, by providing cyclists with bikes in exchange for ‘pedal power'. If cyclists meet their mileage commitment, they shouldn't pay a penny, with their sponsor - often their employer - being responsible for the expense. In return, the sponsor receives reports on carbon savings achieved, while benefitting from a more active and productive workforce. Deko is providing the finance platform by which the initiative will operate. Once the cyclist has chosen their new bike, they enter a finance agreement with one of Deko's lending partners, but will not part with any money then or at any stage, providing they meet their mileage commitment. Instead, their sponsor will be responsible for the Free2Cycle service fees, which covers the provision of the bike, rewards and behavioural change elements of the offering. Eric Craig, CEO of Free2Cycle, said: "We were looking for a solid solution that minimised the impact on the customer journey, while conforming to FCA regulations. Deko not only provided the technology, but also provided us with access to the finance provider within one simple commercial relationship. In doing so, Deko has taken months off our speed to market." The aim of the initiative is to encourage more people to become active, while saving money on travel, and work towards a cleaner environment. Meanwhile, employers benefit from measurable Co2 savings, as well as a more energised, productive workforce, reduced sick days and improved CSR credentials. Sponsorship is typically rewarded with a positive cost benefit ratio of around 10:1. As well as providing the finance technology behind Free2Cycle, Deko has signed up as a sponsor of the initiative itself, meaning the company - and its employees - can reap these benefits. Peter Mansfield, CEO at Deko, said: "Free2Cycle, like us, are true innovators. The initiative to get millions more people to live an active lifestyle is something we are very proud to be a part of and we're thrilled that the technology we've built can be put to use in such a positive way. "The initiative truly does benefit all involved and helps us as a society to improve wellbeing, raise productivity and reduce our carbon footprint - and we can't wait to see where the partnership takes us over the next few years as more and more organisations come on board."